View the archives for previous editions of the newsletter. You can also follow my blog for behind-the-scenes info and other posts on what moves and inspires me. MORE THAN MOST (MORE BOOK 3) COMING FEBRUARY 12th! 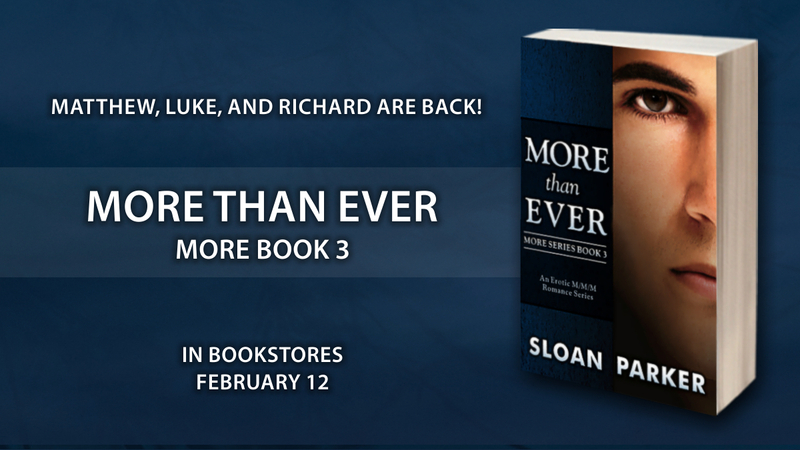 The third book in the More series, MORE THAN EVER, releases on February 12th in both e-book and paperback formats. The paperback will first be available at Amazon, and then it may take a few weeks to reach other bookstores. Read the story blurb and get pre-order links on my blog. In anticipation of MORE THAN EVER’s release, I’ve created a Pinterest board of images that either inspired me or reminded me of the story. None of the photos are exactly right, but it’ll give you some idea of how I picture the characters and the settings. Hope you enjoy checking out this Story Preview in Pictures on Pinterest. Each month on my blog I host a reader giveaway. 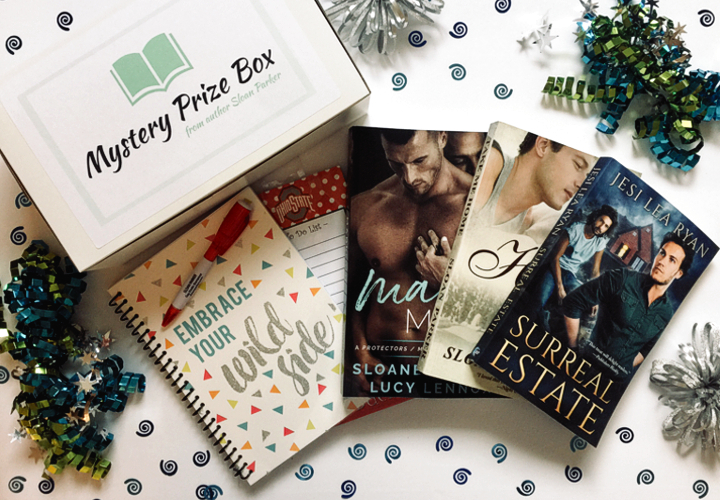 The winner receives a surprise box of M/M Romances (at least one of my books and two from other authors). If you'd like to enter the next giveaway, you can sign up to follow the blog via email. I've written another three-word scenario. This is where I take three random words (selected through a random generator) and write a short scenario that includes all three words. It's called I WANT TO KISS YOU, and you can read this short story on my guest post at On Top Down Under Book Reviews. Two of my titles are now available in Kindle Unlimited. If you have a subscription at Amazon, you can read these books for free: TAKE ME HOME and BREATHE. For updates on my current works-in-progress, sales, freebies, and other news, sign-up for my Free Newsletter.